Sound Quality: We pick earbuds that deliver high-fidelity sound performance with exceptional clarity throughout the full frequency range – delivering deep bass, crisp trebles and good soundstage. Design: Some of these best sounding earbuds come with planar magnetic drivers for extremely low distortion and faster frequency response with great bass impact. Customization: How well do these earbuds response to sound customization options? Our experts handpick earbuds which not only respond well to EQ changes, but make your music genres truly shine and standout. If you are looking for some of the best earbuds for the money, be sure to check out our top picks for the best earbuds in 2019 below! 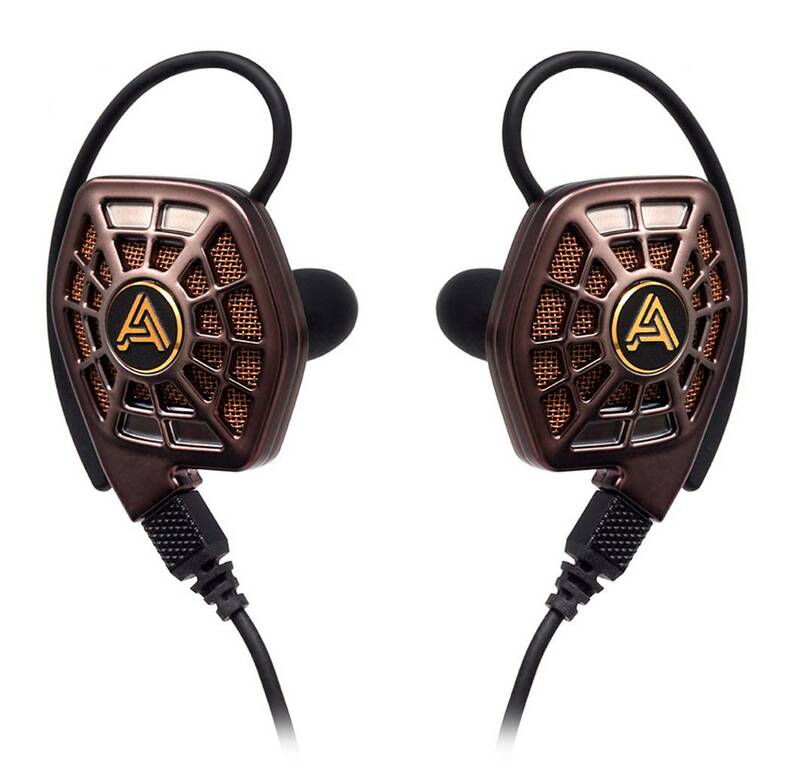 The Audeze iSINE20 is one of the best sounding earbuds that delivers exceptionally high quality sound with its innovative planar magnetic drivers. These earbuds are semi-open, in-ear earbuds that provide superb high-fidelity sound performance with very good soundstage and audio separation. These earbuds allow you to hear music exactly the way the artist intended it to be heard, with exceptional clarity throughout the entire frequency range with deep accurate bass and clean treble ranges. We also liked the fact that you can use the Audeze iOS app to boost or elevate the midranges in real time, featuring a 10-band equalizer and two presets – these settings are stored with the cable. Furthermore, the iSINE20 earbuds feature a very unique and sleek looking design with cipher cable and a standard 3.5mm cable for compatibility with most audio devices. If you are looking for one of the best sounding earbuds that can really bring out the quality of your music, the Audeze iSINE20 is definitely a great choice. The sound performance of the iSINE20 is extremely detailed and pristine, with crystal clear highs, detailed midranges and surprisingly good amount of bass. These earbuds come with a voice-coil that covers the ultra-thin diaphragm to enable better control and responsiveness. It also comes with an included lightning cable with DSP for virtually zero sound distortion. 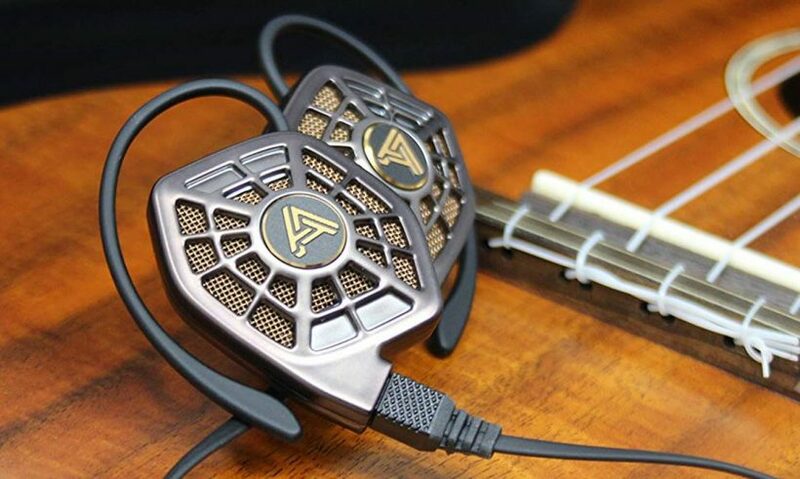 The Audeze earbuds provide great soundstage with good sensation of music surrounding your ears – you can feel the distance, depth and separation between the various instruments and sound sources. They are capable of detailed subtlety, projecting sounds through a distance that provides a spatial imaging of the sound recording. We also liked the fact that you can really crank up the volume on these earbuds without hearing any distortion – everything sounds full and high-fidelity across all frequency ranges. The Verdict? The iSINE20 earbuds are some of the best sounding earbuds available for audiophiles who want to hear every single detail in the music exactly as the artist intended it to be heard. The earbuds are built to deliver exceptional clarity throughout the entire frequency spectrum, with crystal clear highs, detailed midranges and stunning bass performance. The sound quality of these earbuds is best described as dynamic, spacious and immersive. It comes with planar magnetic drivers which provide consistent sound quality at all volume levels without any distortion. We also liked the fact that these earbuds come with the Audeze iOS app which boosts or elevates mid-range performance in real time, and features a 10 band equalizer and two savable presets that allow you to listen to any music genre according to your preferences. If you are looking for some of the best sounding earbuds that will really make a difference to your audiophile listening experience, the Audeze iSINE20 earbuds come highly recommended. The Audiophile IEM earbuds are some of the best sounding earbuds we have tested that deliver great value for money. These earbuds are capable of delivering high-fidelity sound performance with crystal clear highs and detailed midranges, with a pretty punchy bass response. These earbuds are equipped with dynamic dual drivers which provide more power and a detailed listening experience – they have an output power of up to 119 decibels across a wide frequency range from 5 Hz to 31 kHz. We also liked the fact that these earbuds feature fine-tuned 16 ohm impedance acoustic drivers which provide crystal clear sound performance. Furthermore, these earbuds come with three sets of butter-soft silicone tips, gold-plated 3.5mm input jack and a lossless copper with tangle-free rubber coating. Overall, the Audiophile IEMs are some of the best sounding earbuds that we have tested that provide high-fidelity sound performance, so be sure to check them out! The Audiophile IEM earbuds come with dynamic dual drivers that deliver exceptionally clear sound performance. These earbuds can output up to 118 dB of sound with virtually no distortion. It also has a wide dynamic range from 5 Hz to 31 kHz that allows you to listen to details in the music which you might not have heard before. Vocal performances sounded crisp, refined and clear, while bass-heavy genres sounded punchy and lifelike. If you like rock, pop and electronic dance music, the bass from these earbuds will definitely impress you. We also tested these earbuds with classical music and found that they reproduce the subtle notes from instruments very well – the highs and mids are crisp and clear, and these earbuds have a level of precision and detail that brings out the flare in music performances. If you are an audiophile looking for entry level earbuds that can deliver high-fidelity sound, the audiophile earbuds are a great choice. The Audiophile IEMs have a relatively sleek and modern design, and feel very comfortable when worn inside the ears. We particularly liked the fact that these earbuds come with three sets of butter-soft silicone tips to allow you to get the best fit inside your ears. The lossless copper cable is tangle-free and helps you listen to music without any hindrances. In terms of comfort, these earbuds are relatively lightweight and do not feel bulky inside the ears – they are made from durable materials and do not damage easily. The earbuds come with dynamic dual drivers which provide a detailed listening experience. The Verdict? The Audiophile IEMs are some of the best sounding earbuds we have tested. These earbuds have a very rich sound quality that feels well-balanced in terms of treble and bass. Listening to these earbuds feel as though you are listening to a set of high-end earbuds at the fraction of the price. Vocal performances sounded deep and vivid, while instrumental notes are reproduced with crystal clear precision. We also liked the midranges and bass from these earbuds – the bass punches deep and adds a layer of low-end to music performances. Furthermore, these earbuds are made of durable and quality materials with three interchangeable sets of ear-tips for easy listening. If you are looking for some of the best sounding earbuds available, be sure to check out these Audiophile IEMs. The FiiO F9 are some of the best sounding earbuds that come equipped with three drivers for full-range audio reproduction. 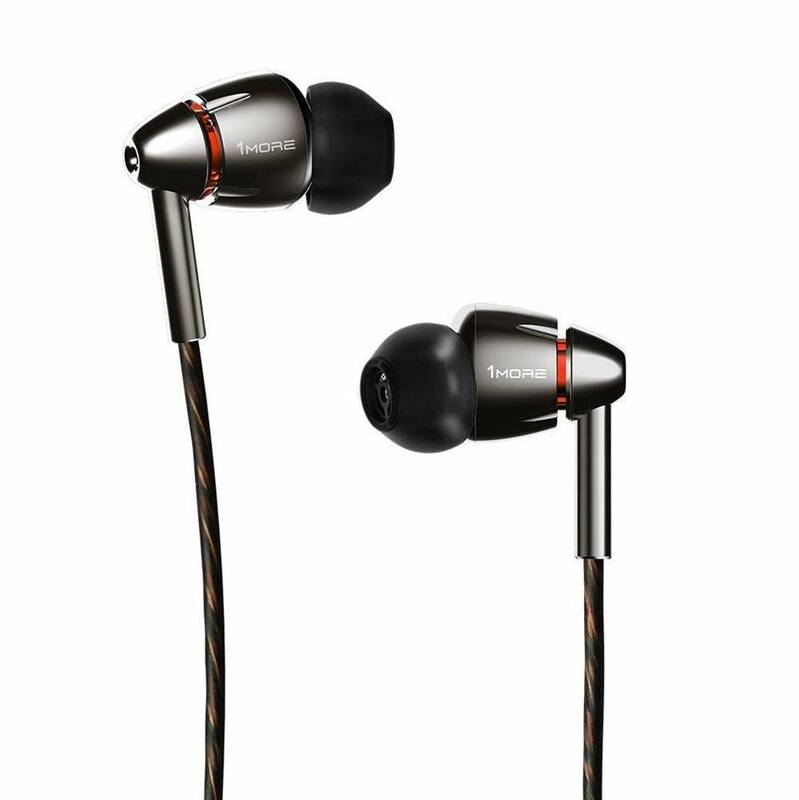 These earbuds come with three drivers – one 9.2mm dynamic driver specficially tuned to produce deep lows and bass, and two Knowles balanced armature drivers for crystal clear clarity and detail. The F9 earbuds also comes with a detachable cable design with MMCX connectors, supplied with both a single-ended audio cable. The audio cable comes with an in-line microphone and control, and a 2.5mm balanced cable. Both cables come with an L-shaped plug with red and blue metal rings on the MMCX connectors. The FiiO F9 has an over the ear design for an enjoyable listening experience. These earbuds are also built to deliver incredibly detailed sound performance with balanced frequency ranges – you can hear almost every single detail in the music with precision with the FiiO F9. If you are looking for one of the best sounding earbuds with triple drivers that can balance between bass and other frequency ranges, we highly recommend the FiiO F9 earbuds. The sound quality of the FiiO F9 earbuds is incredibly crisp and detailed. They produce high-resolution audio with a frequency response up to 40 kHz, which allows you to hear essentially the entire audio spectrum. It reproduces audio with clarity and provides a lifelike listening experience. The bass output on these earbuds is tight and punchy – it feels very responsive and goes deep. The bass on the F9 earbuds feels tight and punchy without a hint of muddiness. The bass also adjusts in proportion to the volume output and feels consistent without any bloatedness. Furthermore, the treble ranges on these earbuds sound pristine and crisp without any harshness; it leaves nothing to be desired for your ears. There is no sibilance or distortion on these earbuds at higher volume levels. If you are looking for earbuds with really powerful and deep bass and crystal clear treble ranges, the FiiO F9 are the earbuds you have been waiting for. The design of the FiiO F9 earbuds is sleek and minimalist. It comes with an over the ear design that provides an enjoyable wearing experience. The earbuds also have a detachable cable with MMCX connectors, and comes with both a single-ended audio cable with in-line microphone and control, and a 2.5mm balanced cable. The MMCX connectors allow you to switch between cables depending on your preferences. We also liked the fact that the manufacturer provided 12 pairs of ear tips that come together with these earbuds and a waterproof carrying case as well. On the whole, these earbuds are very well designed and are sleek and comfortable to wear for long periods of time without any fatigue. The Verdict? The FiiO F9 are some of the best triple driver earbuds that provide superb sound quality and performance. The F9 earbuds consist of one 9.2mm dynamic driver with two Knowles balanced armature drivers that provide a good balance with crystal clear highs, detailed mids and bass output performance. It comes with an over the ear wearing design for added comfort, and MMCX connectors which allow you to interchange the cables depending on use. These earbuds can produce frequency ranges up to 40kHz, with very crisp trebles and midrange tones. The F9 earbuds also comes with a range of accessories including 12 pairs of ear tips, waterproof carrying case and a carrying pouch for easy storage. Overall, they are some of the best sounding earbuds we have tested that provide great value for money and we highly recommend them. The Symphonized NRG 3.0 are some of the best sounding earbuds handcrafted from all-natural genuine wood for a warmer and more precise sound signature. These earbuds are designed to produce crisp and powerful acoustic music with deep bass, tapping into the natural acoustic qualities found in wood. They are great for producing studio-quality tuned sound with crystal clear clarity and precise midranges. We also liked the fact that these earbuds have a unique and comfortable in-ear design – they come with custom silicone available in three sizes to choose from for better noise isolation and reduce ambient noise. They ensure perfect fit for noise isolation and comfortable wearing for prolonged periods without causing ear fatigue. Furthermore, the Symphonized NRG earbuds are user-friendly to use and come with volume control, pause/play capabilities, answer/call functions and voice controls. It also has a smart inline microphone which gives you control over your listening experience. They are also compatible with iPhones and android devices using the standard 3.5mm audio jack. If you are looking for some of the best sounding earbuds that deliver an acoustically enjoyable experience with wood design, the Symphonized NRG 3.0 comes highly recommended. The sound performance of the Symphonized NRG 3.0 earbuds is excellent – the highs and midranges are crystal clear, and they can play a variety of music genres without any issues. Due to their wooden design, the NRG earbuds have a slightly warmer and mellow sound signature which enhances the low to midrange frequencies. The bass response from these earbuds hits hard and punches deep – they are great for electronic dance music, rock and hip-hop genres. The timbre and treble ranges are very nicely and accurately reproduced without a hint of harshness at high volume levels. Vocal performances also sound crystal clear and refined; they provide a decent degree of music separation for you to appreciate which the details in the sound are coming from. If you are looking for a set of earbuds that has a naturally warmer sound signature with wood acoustical properties, the Symphonized NRG 3.0 is a great choice. 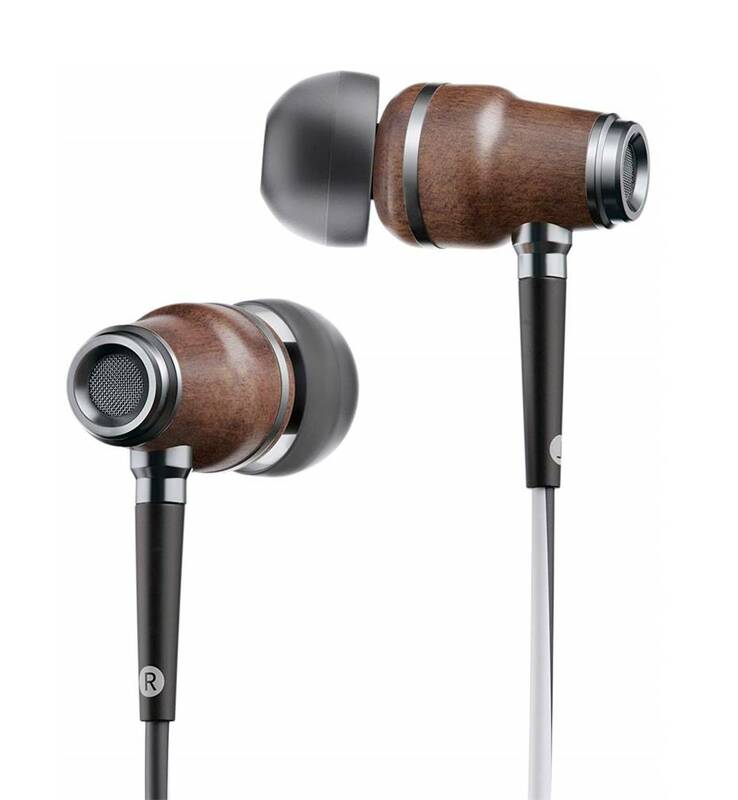 The Symphonized NRG earbuds have a very sleek and eye-catchy design with its natural wood exterior. The earbuds are made from handcrafted all-natural wood and it has subtle grain patterns on the exterior which make them look aesthetically pleasing. These earbuds are also assembled by hand and meticulously tested to ensure that they produce crystal clear sound. They also come with tangle-free wire cords and use a standard 3.5mm auxiliary input cable to connect to your audio device. We liked the fact that these earbuds come with 6 pairs of custom fit silicone ear tips of different sizes to choose from to get the perfect fit and noise isolation. The NRG earbuds also feature a built-in microphone and controls which allow you to skip tracks, activate voice control and respond to phone calls. It also has a gold plated 3.5mm jack which provides better sound connection without any leakage. The earbuds also come with a carrying pouch for easy storage and travel. The Verdict? The Symphonized NRG 3.0 are some of the best sounding earbuds available that provide natural sound performance while using the natural acoustic properties of wood to its advantage. These earbuds are handcrafted from genuine wood and look aesthetically appealing with its natural wood grain design. Furthermore, these earbuds come with custom silicone ear tips to choose from and are very comfortable to wear with its ergonomic design – you can practically wear these earbuds for hours on end without feeling any fatigue. The earbuds also come with easy to use features such as volume control, smart inline microphone and call functions which make it very easy to setup and use. They also feature a tangle-free wire cord setup which makes it easy to take the earbuds with you on the go. If you are looking for some of the best sounding earbuds that can deliver natural acoustic sound signature, we highly recommend the Symphonized NRG 3.0 earbuds. The 1MORE Quad Driver are hands down some of the best sounding earbuds available built for dynamic high-fidelity sound performance with deep bass. 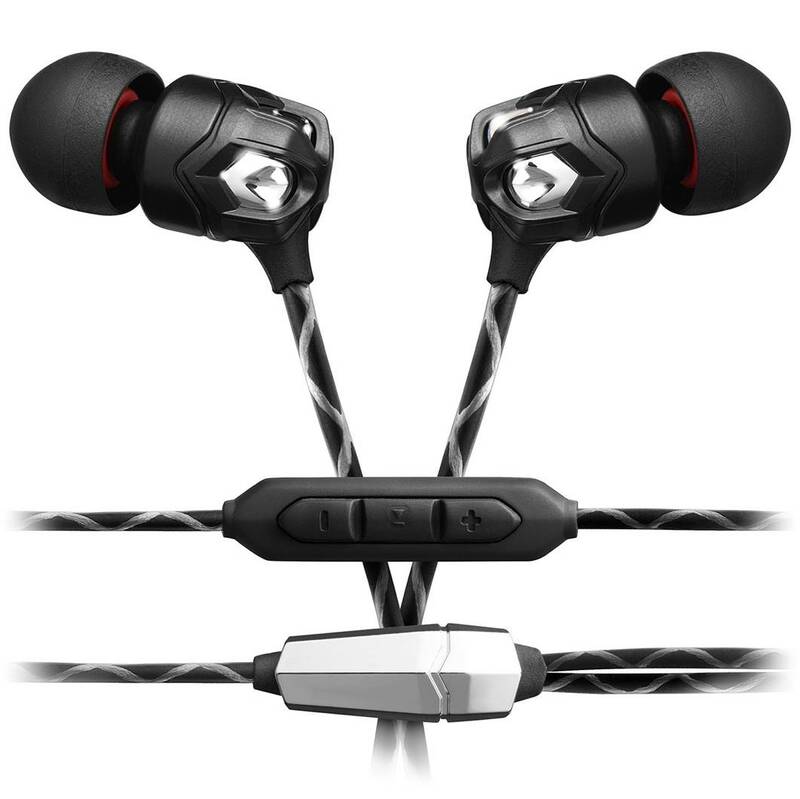 These earbuds are equipped with four drivers – they are diamond-like carbon dynamic drivers with 3 balanced armature drivers that provide crystal clear highs, detailed midranges and very strong bass that hits hard and punches deep. Due to the number of drivers in these earbuds, they are reproduce a wide spectrum of sound-ranges and allow you to hear details in the music which you might not have noticed before. The earbuds feature a meticulous design with streamlined aluminium sound chamber with ergonomic enclosures which provide comfortable noise isolation. They also come with intelligent controls with microphone with convenient in-line controls that allow you to change volume, skip songs and make crystal clear calls without any issues. The 1More Quad Drivers come with deluxe accessories including a gift box, leather travel case, 9 ear tips of different sizes to choose from and an airplane adapter. If you are looking for the best sounding earbuds that can deliver high-fidelity sound performance, the 1More Quad Driver earbuds is definitely a great choice. The sound performance of the 1More Quad Driver earbuds is rich, clear and vibrant and suitable for audiophile listeners who demand high-fidelity performance. The 1More Quad drivers feature four drivers which are equivalent to having four speakers inside the earbuds – each driver is dedicated to producing crisp highs, detailed mids and deep bass performance. We particularly liked the fact that the four drivers create a spacious feeling with a good degree of soundstage, making you feel as though you are listening to your music in a live concert hall. We also liked the fact that these earbuds come with a streamlined aluminium sound chamber with tungsten textured accents which allow for natural airflow and a more nuanced sound signature. We would describe the sound signature of the 1MORE Quad drivers as natural with a tendency towards the lower-midrange frequencies. They are great for bass-heavy music genres such as electronic dance music, but also perform very well for vocal and instrumental performances with crisp treble ranges. These earbuds have a frequency range that extends up to 40 kHz and has high-resolution acoustic quality. The 1MORE Quad Driver earbuds are meticulously designed with streamlined aluminium chambers with provides an ergonomic and comfortable fit inside the ears. These earbuds are expertly tuned to reproduce natural sound frequencies and you can practically wear these earbuds for prolonged periods of time without feeling any fatigue. They also come with intelligent control technology which allows you to answer calls, skip tracks and adjust volume on the go. The 1MORE earbuds are capable of high-resolution audio with a range that extends up to 40 kHz; it features a diamond-like carbon driver which features a lightweight crystalline structure that transfers sound waves accurately without distortion. We particularly liked the fact that these earbuds come with a 45 degree oblique angled ear fitting which naturally matches your ear canals to ensure a secure and proper fit. The earbuds come with a tangle resistant and tough Kevlar core cable made of oxygen-free copper wire which provides clear audio performance. Finally, the earbuds also come with built-in chips which automatically identifies your smartphone, tablet or computer device and allows you to make calls or adjust soundtracks on the go. The Verdict? The 1MORE Quad Driver are some of the best sounding earbuds designed for audiophiles that deliver high-fidelity sound performance. These earbuds are specially engineered with four acoustic drivers to handle the highs, midranges and lower-bass frequency ranges. The sound signature of the 1MORE earbuds is natural and slightly warm, which places an emphasis on the lower-midrange frequencies. They are great earbuds to have if you enjoy listening to rock, hip-hop or pop music genres. Furthermore these earbuds are very comfortable to wear and come with a 45 degree oblique angled ear fitting which conforms to your ear shape. We also liked the fact that these earbuds come with 9 different sets of ear tips for you to choose from and get optimal comfort with these earbuds. They are also expertly tuned to ensure a fully balanced and realistic soundstage. If you are looking for some of the best sounding earbuds designed for high-fidelity audiophile performance, the 1MORE Quad Driver earbuds come highly recommended. The Shure SE846-CL are some of the best sounding earbuds built for high-definition sound and in-ear monitoring. They come with quad hi-definition micro-drivers for extended high-end clarity and very deep low-end performance. These are the type of earbuds you would want if you are fussy about listening to every single detail in your music with pristine clarity, and need a set of earbuds with ultra-fast frequency response. The SE846-CL earbuds come with a comfortable design with low-pass filter – this allows the earbuds to provide deep low-end performance akin to a true subwoofer without sacrificing clarity or detail. Furthermore, these earbuds provide customizable frequency response – they have adjustable sound signatures available (balanced, warm or bright) via changeable nozzle inserts and removable metal nozzles. The SE846-CL earbuds have a sensitivity of 114 dB and a wide frequency range of 15 Hz to 20 kHz. They are also compatible with a new Bluetooth-enabled cable if you need to wirelessly stream music to these earbuds from your Bluetooth device. If you are looking for one of the best sounding earbuds that provides high-definition sound performance with customizable sound signatures, the SE846-CL is a great choice. The sound quality of the Shure SE846-CL is crystal clear and pristine. It delivers extended high-end clarity without any harshness at maximum volume level. The earbuds do not distort when you crank up the volume to maximum volume. The SE846-CL earbuds come with four high-definition drivers for extended high-end clarity and a low-pass filter for true subwoofer performance. It has a wide frequency range of 15 Hz to 20 kHz which allows these earbuds to pick up details in the music which you might not have noticed before. We also liked the fact that these earbuds come with customizable sound signatures – you can tune the sound according to your preferences to emphasize the highs, treble ranges or bass output. Vocal performances sounded pristine and very detailed through the Shure SE846-CL – they have a pretty wide sound stage and you can easily pick up where each detail is coming from. The volume output from these earbuds is also very good, and the timbre and treble ranges do not distort at high volume levels. The SE846-CL has a sleek and modern design and fits comfortably inside your ears. They feature adjustable frequency response for customizable sound signatures with removable metal nozzles and changeable nozzle inserts (balanced, warm or bright options). It also has a secure over the ear configuration which keeps the earbuds in place and the cables out of the way – you can practically wear these earbuds for hours on end without feeling any fatigue. The SE846-CL is also compatible with Shure’s Bluetooth 4.1 communication cable for Bluetooth devices. By default, the earbuds use a universal 3.5mm audio cable to connect to your music devices. We also liked the fact that these earbuds come with a comfortable sound isolating sleeve which block up to 37 dB of ambient noise – the sound isolation technology prevents outside noise from interfering with your listening experience. These earbuds come with a wide variety of ear-tips to choose from for you to get the optimal fit inside your ears. The Verdict? The SE846-CL are some of the best sounding earbuds that provide high-performance customizable sound signatures for professional monitoring and listening. These earbuds are fined tune to provide a balanced sound signature with crisp highs, nice midranges and good bass response. It also has a low-pass filter design which allows the earbuds to have a deep low-end performance of a true subwoofer without sacrificing clarity or detail of the mids and highs. We liked the fact that the earbuds also come with sound isolating sleeves that block up to 37 dB of ambient noise on the go. These earbuds feature customizable frequency response, detachable cables and a wide variety of accessories which provide a tailored listening experience. 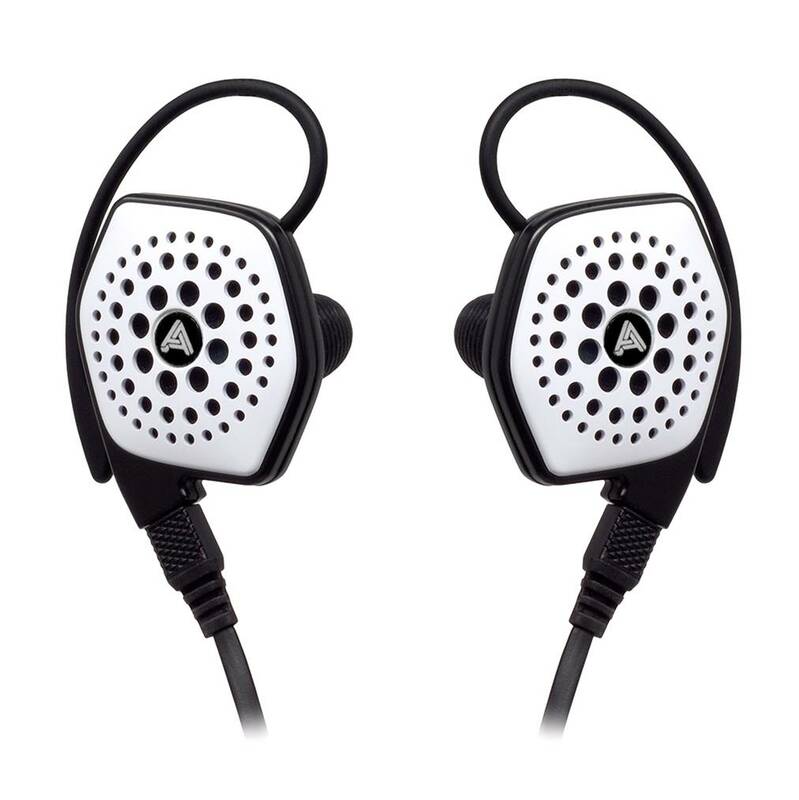 The earbuds are also relatively lightweight and have an ergonomic design for a comfortable fit inside your ears. Overall, the Shure SE846-CL are some of the best sounding earbuds available that provides a customizable listening experience and we highly recommend them. The ER3SE Studio edition earbuds are some of the best sounding earbuds designed to deliver accurate studio-grade sound performance. These earbuds come with precision machined metal bodies with high performance balanced armature micro-drivers that provide crisp highs, detailed midranges and smooth deep bass performance. These earbuds are designed with a wide frequency response for you to pick up virtually every single detail in the music without any difficulty. These earbuds also come with a 4ft reinforced detachable cable with 3.5mm gold plated stereo plugs and MMCX connectors. It also comes with assorted ear tips for 35-42dB of external noise isolation and 120dB max output. The ER3 series earbuds are tuned to extremely tight tolerance specs for accurate and high-fidelity sound reproduction, and are some of the best in-ear headphones that are suitable for studio monitoring or casual listening. If you are looking for some of the best sounding earbuds that are small and can produce spacious and studio-grade sound quality, the ER3SE earbuds come highly recommended. The Verdict? The ER3SE studio earbuds are some of the best sounding earbuds designed for accurate and studio-grade sound reproduction. 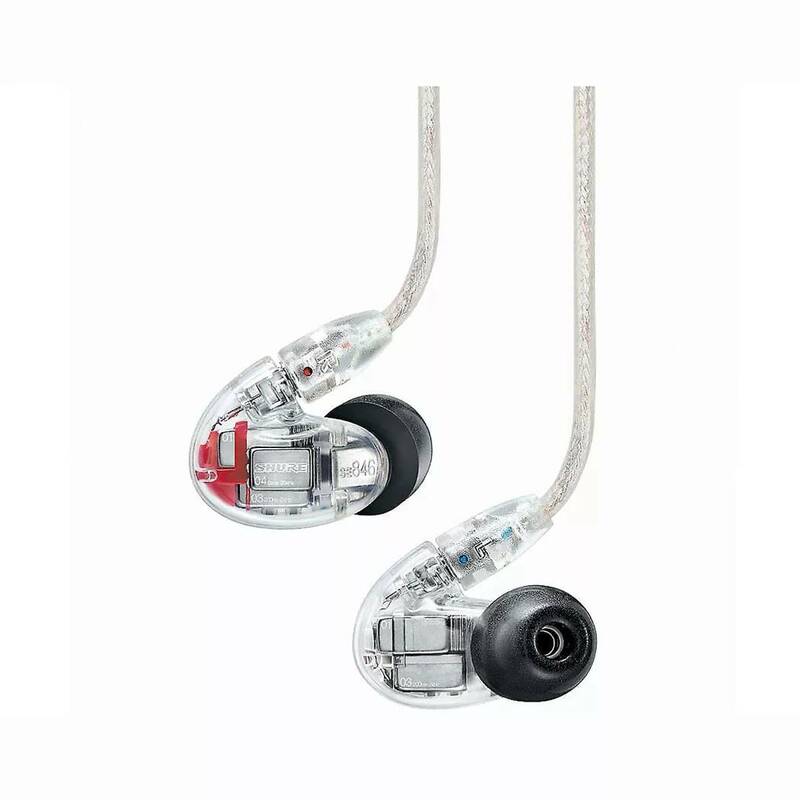 These earbuds are very comfortable to wear and come with precision machined metal bodies with high-performance balanced armature micro-drivers that provide crystal clear highs and treble ranges. The sound quality that you get from these earbuds is top-notch and crystal clear – vocal performances sound refined, while the highs and midranges are sharp and clear. We did not hear any distortion on these earbuds when the volume is cranked up the maximum levels. Furthermore, the ER3SE comes with a 4ft reinforced detachable cable with 3.5mm gold plated stereo plugs and MMCX connectors for easy setup. It also comes with assorted ear tips for 35 – 42 dB of external noise isolation. These earbuds are built for studio-grade sound performance and professional monitoring, and will play music exactly as the artist intended it to be heard. 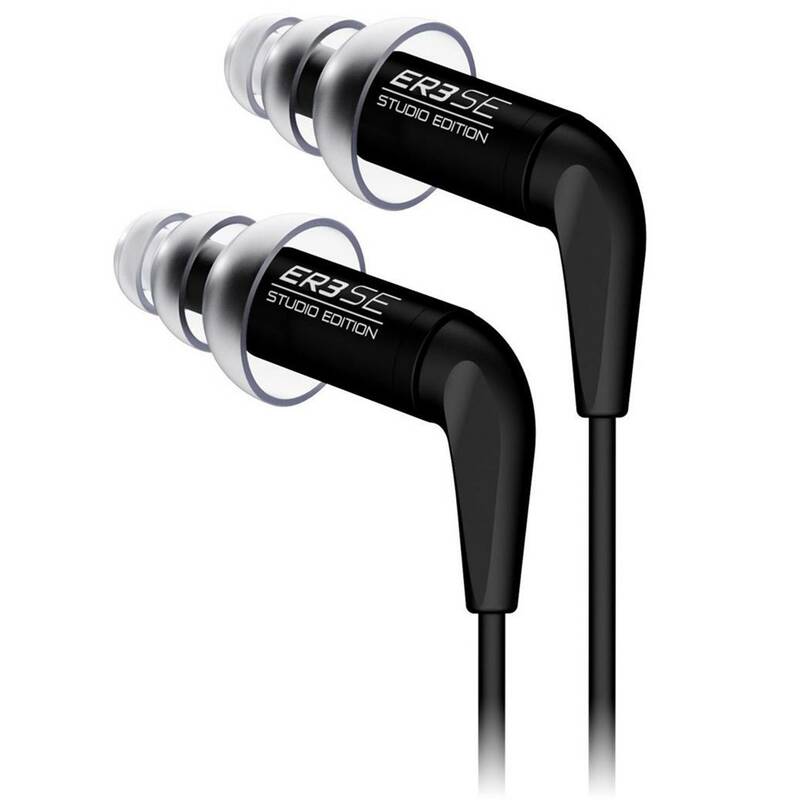 If you are looking for some of the best sounding earbuds that can provide professional studio-grade sound, the ER3SE earbuds are a great choice. The AUKEY B80 are some of the best sounding earbuds designed for high resolution audio with a sleek and modern design. The B80 earbuds are designed to produce high-resolution audio and comes with a hybrid driver system designed for discerning audiophiles who want to listen to every single detail in the music. Furthermore, the AUKEY B80 earbuds come with a wide variety of features including Bluetooth 5.0, apt-X low-latency music transmission, USB-C charging, water resistant and voice control assistant support. The B80 earbuds feature a dual driver design which are precisely tuned and balanced for richer and purer sound output. The earbuds have a wide frequency response from 10 Hz to 22 kHz and provide full, warm lows and mids with crisp and natural highs. We also liked the fact that the B80 earbuds features a USB Type-C port for recharging and up to 8 hours of continuous music playtime on a single charge. We also liked the fact that the manufacturer provided 3 pairs of foam tips and 3 pairs of silicone ear tips to choose from to get the perfect fit. If you are looking for some of the best sounding earbuds with a really sleek design and great sound, don’t forget to check out the AUKEY B80 earbuds. The Verdict? The AUKEY B80 earbuds are some of the best sounding earbuds that provide high-resolution audio with a sleek and modern design. We particularly liked the fact that the B80 earbuds come with multiple features including Bluetooth streaming, aptX codec and USB-C charging. It also has a very long battery life of up to 8 hours of continuous music playtime on a single charge. The B80s have a dual driver design that provides crystal clear highs and detailed midranges for a wide variety of music genres. The dual drivers allow you to pick up vocal performances as well as detailed sound effects and music instruments that you might not pick up with a single driver earbud. Furthermore, the B80 features a stable over-ear hooks which provide a comfortable fit and convenient cable routing. We also liked the fact that the manufacturer provided three sizes of memory foam and soft silicone ear tips for a smooth fit inside your ears. The earbuds are very comfortable to wear, and produce crystal clear sound performance that enhances your overall listening experience. If you are looking for some of the best sounding earbuds that deliver good value for money, the AUKEY B80s are a great choice. The Klipsch R6i II are some of the best sounding earbuds you can find in the Klipsch earbud series, and they deliver really good sound performance with a lightweight and compact design. The Klipsch earbuds have oval ear tips that fit ergonomically into your ears, making them suitable for long periods of listening without causing ear fatigue. We also liked the fact that these earbuds have wireless Bluetooth connectivity, which makes it easy to stream music directly from your smartphone device to these earbuds. The design of the R6i is a sleek black and white finish, which adds a nice touch to the overall aesthetic appeal of these earbuds. 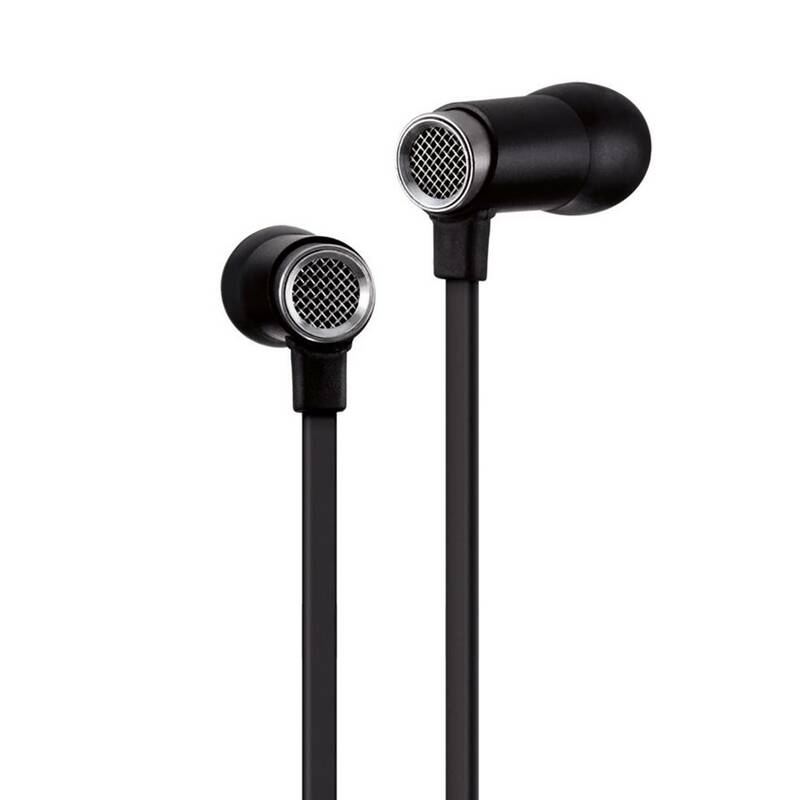 The R6i earbuds also comes with a carrying case and three-button remote and microphone for iOS devices. The sound signature of the R6i is best described as suitable for reference monitoring, and is capable of producing details and vocals in music performances that enhance the overall listening experience. If you are looking for one of the best sounding earbuds that can deliver crisp sound with a comfortable ergonomic design, the Klipsch R6ii earbuds definitely come highly recommended. The sound performance of the Klipsch R6I earbuds is very good, and they are equipped to produce full-range sound quality with its acoustic drivers. The highs are crystal clear and the midrange sounds full-bodied with good attention to detail. You can really crank up the volume on the R6i earbuds without a single hint of distortion which is great. We listened to a wide variety of music genres on the R6i earbuds including rock, pop, EDM and classical music – these earbuds have a rather V-shaped sound signature which emphasizes the highs and lows. 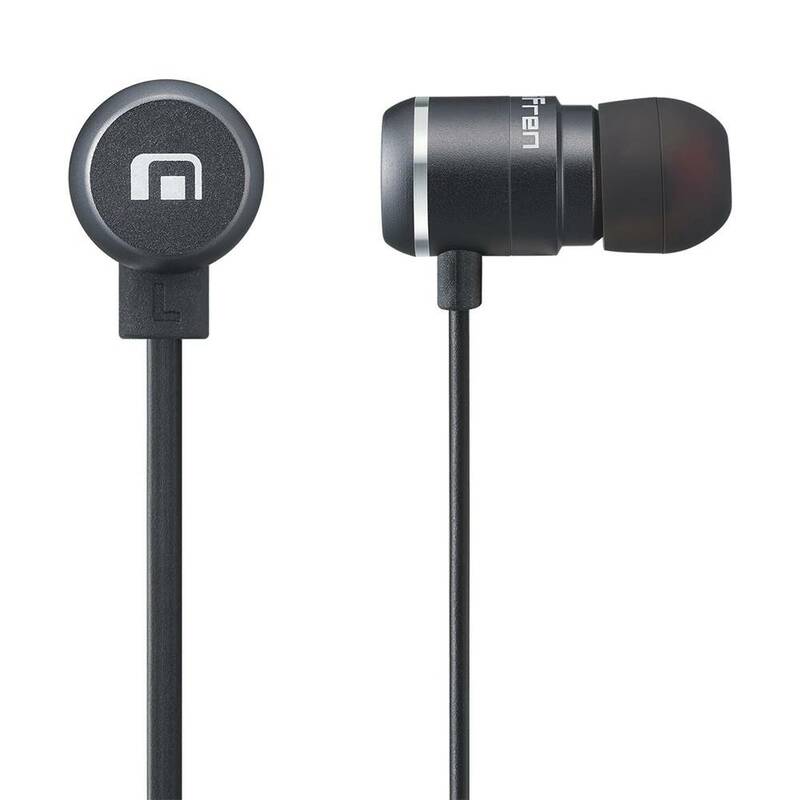 The bass output from the R6i earbuds is punchy and tight, and adds a good kick to bass-heavy music genres. Instrumental and classical music sounded surprisingly good on these earbuds, with the ability to pick up instrumental notes and minor details that paints a complete picture of the overall music experience. If you are a bass head looking for earbuds that can produce good and tight bass, the R6i earbuds will not disappoint. 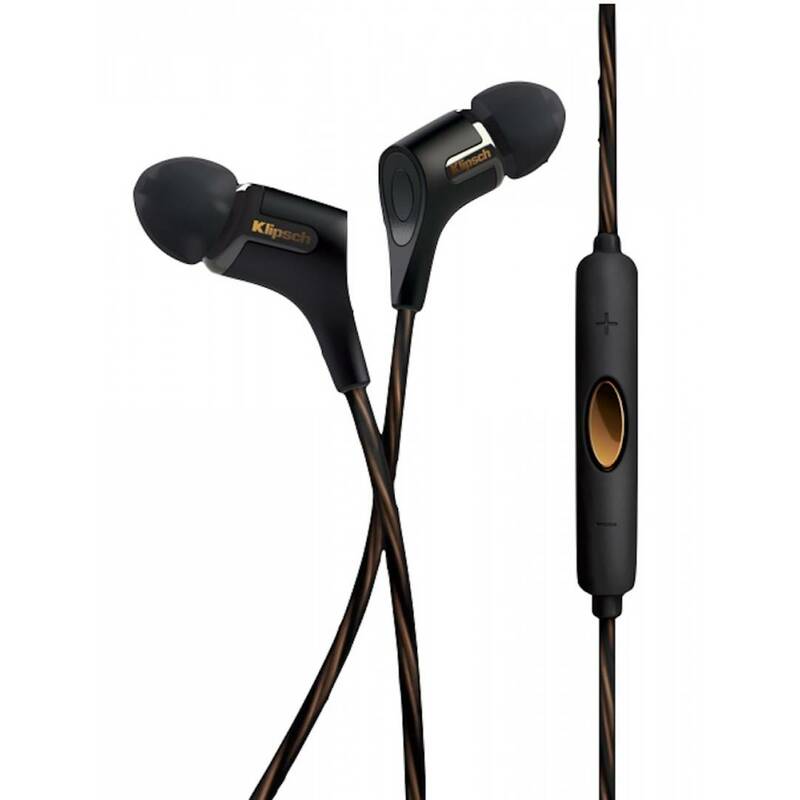 The Klipsch R6i earbuds have a sleek and modern design with tangle free ear cords that are easy to wear. It comes with ovular shaped ear cones which are ergonomically designed to fit inside your ears without causing any discomfort – you can practically wear these earbuds for hours on end and listen to your favorite music without feeling any pain in your ears. The earbuds have a unique cone shaped design which fits securely in your ears and does not fall off easily. 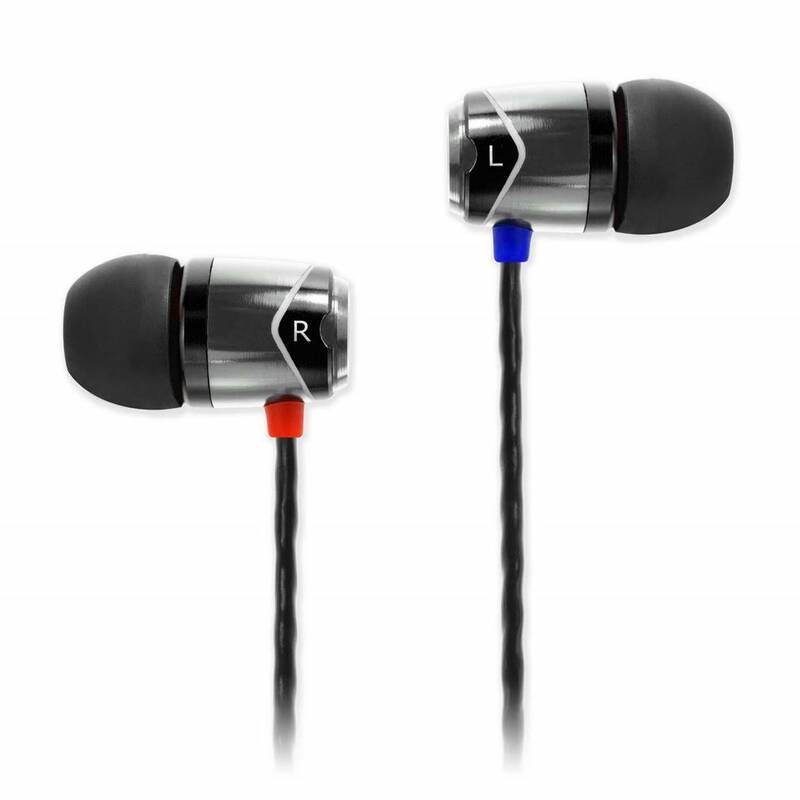 Furthermore, we liked the black and white finishes on the R6i earbuds which makes them look modern and classy. The earbuds come with a carrying case for easy portability, and it also features a three-button remote and microphone for iOS devices. The Verdict? The Klipsch R6i are some of the best sounding earbuds designed for reference monitoring and entry-audiophile listening. These earbuds have a well-rounded V-shaped sound signature, and emphasize the highs and lows really well. The bass output from the R6i earbuds is very good and punchy, and makes listening to bass-heavy music genres such as rock and pop very enjoyable. Furthermore, the R6i earbuds are compatible with a wide variety of music genres including instrumental and classical music, and can reproduce vocal performances with crystal clear clarity. We also did not experience any distortion from the R6i earbuds at high volume levels. In terms of design, the Klipsch R6i have a sleek black and white finish with unique cone shaped earbuds that fit ergonomically into your ears without causing discomfort. They also have wireless Bluetooth functionality for your to take calls and listen to music from your smartphone device. Overall, the Klipsch R6is are some of the best sounding earbuds for entry-level audiophiles and we highly recommend them. The V-MODA Zn are some of the best sounding earbuds that deliver deep punchy bass with its dynamic 8mm drivers. These 8mm drivers are designed for tonal accuracy with very little distortion at high volume levels, and specially tuned to complement the human hearing limit variance of +/- 2dB. The earbuds are made from high quality precision zinc alloy metal housing which provides for an ergonomic and lightweight design that feels comfortable inside the ears. The earbuds fit seamlessly into the ears without causing any discomfort after prolonged periods of listening. We also liked the fact that the V-MODA Zn earbuds come with patented active flex sport ear hooks for stability and comfortable fit. They also come with built-in 3 button remote control microphone specially tuned for phone calls and voice recognition, and are universally compatible with all smartphones and mobile devices. The earbuds also come with tangle-free diamondback cable for added durability and are 20x stronger than the industry standard. If you are looking for some of the best sounding earbuds that can provide superb bass output for entry-level audiophile listening, the V-MODA Zn earbuds are a great choice. The sound performance of the V-MODA Zn earbuds is crystal clear and vibrant, with very good highs and midrange performance. The Zn earbuds come with 8mm dynamic drivers which deliver very good accuracy and an incredibly wide frequency range with very low distortion of less than 0.5 dB. This means that you can practically crank up the volume on these earbuds without hearing any interference. The earbuds also come equipped with acoustic filters between the driver and the housing that control the airflow mechanics, which helps to enhance the treble and vocal ranges while minimizing muddiness from the lower frequency bands. The V-MODA earbuds also have a unique V-port feature that unveils out nuances and finer details in the music. Listening to classical and instrumental music on these earbuds was a very enjoyable experience; they are engineered to deliver high-resolution sound exactly as the artists intended it to be heard. The sound signature of the V-MODA Zn is V-shaped, which helps to emphasize both the highs and lows in the sound quality. The V-MODA Zn earbuds feature a very sleek and durable design that makes them aesthetic earbuds to wear around. They come with detachable ActiveFlex sport earhooks which ensure a comfortable and stable fit over the ears, and also come with a DiamodBack cable which are designed to be tangle-free and supports up to 20x stronger the industry strength. The earbuds come with four different sizes of ear-tips (soft silicone eartips) which enhances the bass and noise-isolation. The earbuds also come with a 45 degree, 24k gold plated plug that can bend over 60k times. 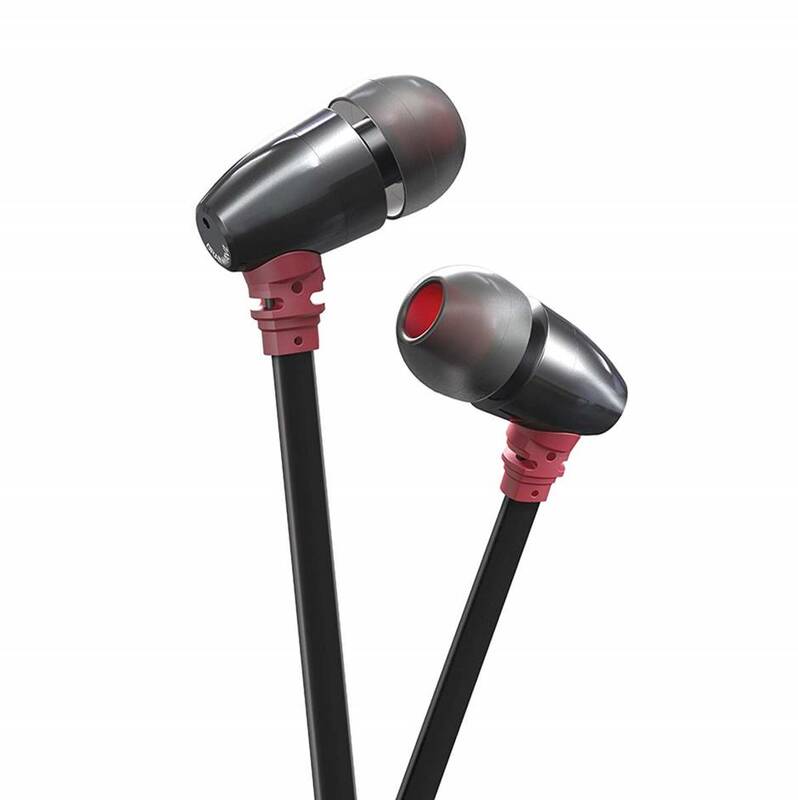 The earbuds themselves feature a lightweight design with an all-liquid Zinc metal construction headphones and y-connector. They are overall pretty nice earbuds to wear and feel very comfortable when placed inside the ears due to their lightweight ergonomic design. The Verdict? The V-MODA Zn are some of the best sounding earbuds designed to deliver deep bass and full-range sound reproduction. They are really good entry-level audiophile earbuds that come with dynamic 8mm drivers which delivers excellent tonal accuracy and very low distortion. These earbuds are hand-tuned to provide a balanced sound signature and deep bass response without muddying into the mid-range frequencies. Furthermore, the V-MODA Zn earbuds are precision engineered with zinc alloy metal housing to deliver consistent acoustic quality. It also comes with a built-in 3 button remote microphone which is specially tuned for phone calls and voice recognition, and universally compatible with smartphones and mobile devices. 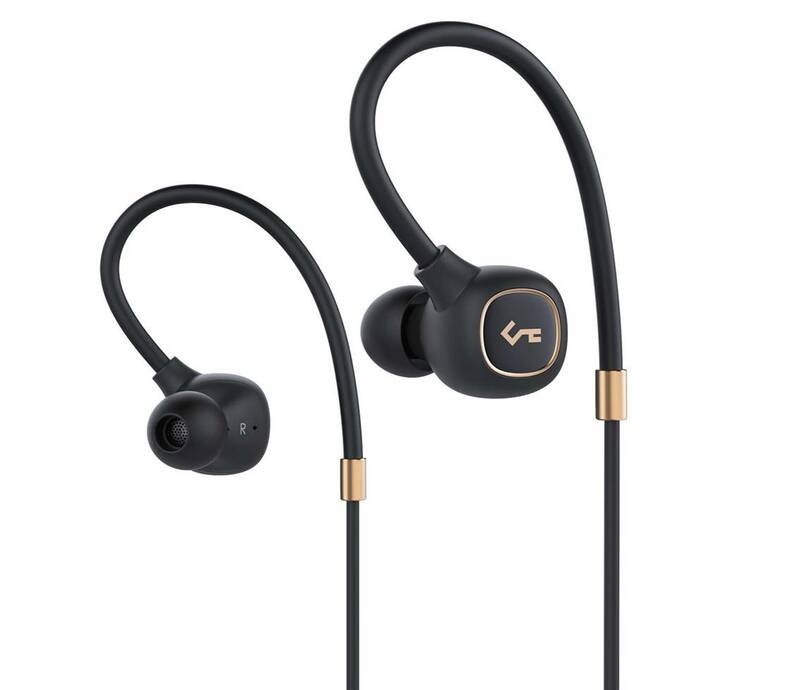 We also liked the tangle-free diamond back cable that comes together with these earbuds which adds style and durability. They also pretty comfortable to wear, and the zinc alloy earbuds are ergonomically shaped to fit inside your ears without being obtrusive. Overall, the V-MODA Zn are some of the best sounding earbuds you can find for optimized sound quality and we highly recommend them. The iSINE planar magnetic earbuds are some of the best sounding earbuds designed to produce high-fidelity sound performance with maximum clarity and planar magnetic technology. These earbuds are built for maximum clarity, allowing you to hear every single beat in the music with detailed clarity and timbre ranges. These in ear headphones are built using Audeze proprietary technology which delivers vivid sound, deep bass and balanced treble response. Furthermore, the modern design of the iSINE earbuds is durable and fits ergonomically into your ears which make them comfortable to wear. These earbuds come with innovative 30mm planar magnetic drivers to provide lower distortion and better bass response to 20 Hz, and a much wider soundstage that other earbuds we have tested. We also liked the fact that the manufacturer provided a selection of ear hooks and ear tips, allowing you to customize the fit according to your personal preferences. If you are looking for high-end earbuds that can really deliver precise sound quality and stereo imaging, the iSINE planar magnetic earbuds come highly recommended. The Verdict? The iSINE planar magnetic earbuds are some of the best sounding earbuds designed by Audeze that can deliver pristine accuracy and details. These earbuds are designed for maximum clarity and can reproduce details in the music which you might not have heard before. Furthermore, the iSINE earbuds are designed to be exceptionally durable, so you can keep listening to music for years with these earbuds without having to replace them. It comes with innovative 30mm planar magnetic drivers which provide lower distortion and better bass response, with a much wider soundstage for classical or instrumental music performances. The design of these in-ear headphones is also very unique, and it comes with cable connectors and accessories for you to choose from. The multiple sized ear-tips is also a nice added touch, and they are ergonomically shaped and comfortable to wear. Overall, the iSINE earbuds are some of the best sounding earbuds we have tested that provide superb high-end performance, and comes highly recommended for audiophiles. The Brainwavz S0 are some of the best sounding earbuds designed with superior noise isolation and balanced audio signature with overall smooth sound. The S0 earbuds come with an all-metal housing and in-ear design with a special finish to give it a smooth and modern feel, coupled with long lasting durability. These earbuds are designed for high-quality sound performance and suitable for a wide variety of music genres with a wide-frequency response. The S0 earbuds come with a flat cable for less tangle and makes it easy to wear; the cables are also made with oxygen-free copper wires for smoother sound transmission. We liked the fact that the manufacturers also included Comply S-400 foam tips in the package of different sizes to choose from to get an optimal fit in your ears. The netire package comes with 6 pairs of silicone tips, 1 pair of bi and tri flange tips, shirt clip and a hard carrying case for protection. If you are looking for one of the best sounding earbuds that has well-balanced sound performance and great sound isolation, the Brainwavz S0 comes highly recommended. The sound quality from the S0 earbuds is surprisingly crisp and detailed. Each of the earbuds come equipped with a dynamic 9mm balanced driver which delivers a frequency range between 18 Hz to 18 kHz. The dynamic range on these earbuds is very good, and covers the highs, midranges and lower frequency range with good precision. The timbre and treble ranges are nicely reproduced, and do not sound harsh when we turned up the volume on these earbuds. These earbuds are also deigned to go fairly loud with a sensitivity of 100dB at 1mW, and do not distort at maximum volume levels. Music performances such as classic rock and pop sounded punchy and vibrant, with pretty good acoustic details and some degree of separation. The bass output on these earbuds is very punchy and deep, and it stays where it should be as bass without muddying into the midrange frequencies. Furthermore, we played a variety of music genres on these earbuds including instrumental and classical songs, and we enjoyed the level of separation that the S0 earbuds provide. The entire music spectrum is much clearer and more pronounced, with a good degree of emphasis on the highs and vocal ranges. The Brainwavz earbuds are relatively lightweight and comfortable to wear, with an ergonomically shaped earbud. They have been designed for use on iOS devices and uses a high precision MEMS microphone for you to take hands free calls. It also comes with a three-button control and allows you to make audio calls as well as change audio playback while listening to these earbuds. The earbuds come with 6 sets of silicone ear tips, 1 set of comply foam tips and a shirt clip for easy use. We also liked the fact that the manufacturer provided 1 set of silicone bi-flange ear-tips and 1 set of silicone tri-flange eartips which provide greater stability over the ears. Furthermore, the S0 earbuds come with a 1.2m Y-cord cable and 3.5mm universal plug for connection to most audio sources. They are comfortable earbuds to wear and you can listen to hours of music on end without feeling fatigued. The Verdict? The Brainwavz S0 are some of the best sounding earbuds we have tested that deliver full-range sound quality with pronounced highs and midranges. The entire music spectrum is well-replicated across the board, and we really enjoyed listening to these earbuds for EDM and pop music genres. The earbuds come with a 9mm dynamic driver with a wide frequency range between 18 Hz to 18 kHz, and a sensitivity of 100 dB. It also comes with a 1.2m Y-Cord with oxygen-free copper wires for betters sound quality and transmission. The S0 earbuds also come with a gold-plated 3.5mm auxiliary input for cleaner sound response. We particularly liked the fact that the S0 earbuds come with Comply S-400 foam tips which provide a much better seal for enhanced bass response. The entire package also comes with 6 pairs of silicone tips to choose from, which allow you to select the tips according to your ear size. Overall, the Brainwavz S0 are high quality earbuds and some of the best sounding earbuds that provide great sound isolation, so don’t forget to check them out! The SoundMagic E10 earbuds are some of the best sounding earbuds with a wide frequency range from 15 Hz to 22 kHz, and can reproduce music notes in the entire audio spectrum with pristine clarity. 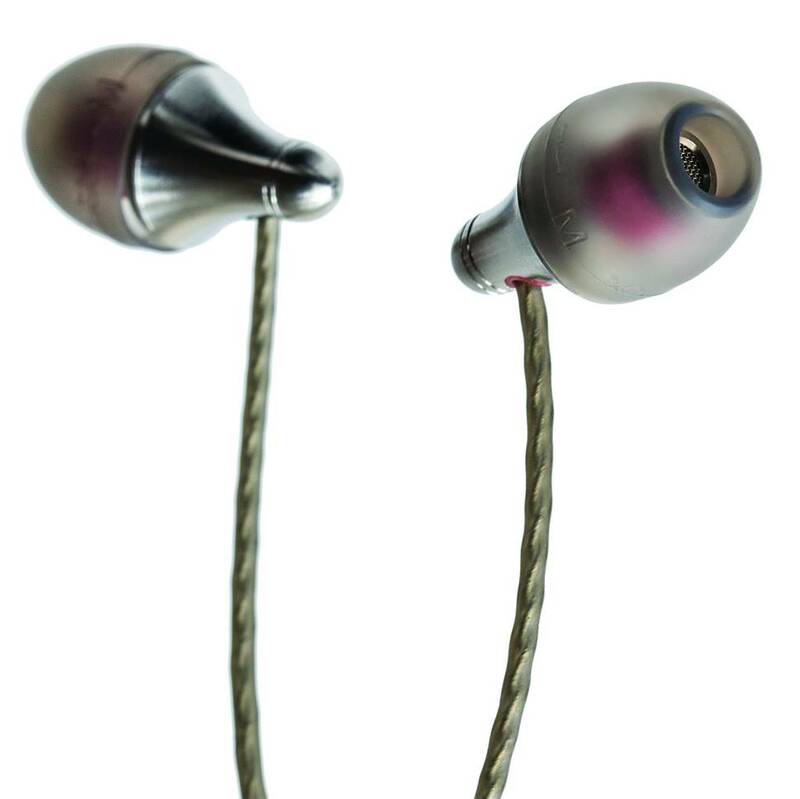 These earbuds feature a unique all-metal earphone construction with powerful bass balanced with musical detail performance. The earbuds are equipped with 10mm neodymium drivers with a sensitivity of 100dB at 1KHz/mw and can deliver crystal clear highs with very deep bass output. These earbuds punches above its weight in terms of sound quality; the acoustic drivers of the E10 are engineered to produce detailed sound performance with balanced frequency ranges. In addition, the SoundMagic E10 earbuds come with an aluminium construction housing which makes it durable and tough enough to withstand everyday use. We also liked the fact that these earbuds come with ergonomically designed sound tubes which sit inside the ear canal and stay inside comfortably without falling out. The in-ear design combined with the ear-tips provides good sound isolation for a more comfortable listening experience. Overall, the SoundMagic E10 are some of the best sounding earbuds that provide a wide frequency range and superb sound detail, and we highly recommend them. 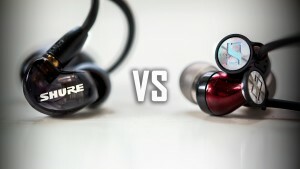 We were quite surprised at how good the E10 earbuds sounded compared with other earbuds. When we compared the E10s with the Sennheiser CX300-II buds, we felt that the sound quality was superior to the Sennheisers with very rich bass, crystal clear midranges and very smooth treble ranges. The highs and timbre ranges are crisp and clear, and do not sound harsh or distort at high volume levels. The earbuds have a pretty well-balanced sound signature with a good range of highs and lows without one frequency overriding another. The level of clarity that you get with the E10 earbuds is outstanding; vocal performances can be heard with very detailed clarity, while music genres such as rock and pop sounded punchy and lifelike. The bass on the E10s is not boomy or overwhelming, but punchy enough to add a level of depth to bass-heavy music genres. Instrumental and classical music performed surprisingly well on the E10 earbuds, with a level of clarity and depth that brings out the minor details in the music. The SoundMagic E10 earbuds are a set of very comfortable earbuds to wear that look modern and aesthetically pleasing. These earbuds are constructed with two-tone metal ear piece bodies and low profile metal hardware with a modern design and finish. The E10 earbuds also come with a tangle-free cable and included wire clip which ensures that the E10s are easy to wear and use. We liked the fact that the E10 has enhanced bass output which provides a more “fun” sound signature, with crisp highs, detailed midranges and good soundstage. The E10 earbuds also come with a twisted core cable which improves durability and reduces tangle and RF interference. We liked the fact that they come with ergonomically designed sound tubes that sit perfectly in the ear canal and stay comfortably without falling out – the in-ear headphones come with a set of ear-tips of different sizes to choose from, so that you can get the best sound isolation and comfort while wearing these earbuds. The Verdict? The SoundMagic E10 are some of the best sounding earbuds that deliver very good frequency response, with a range from 15 Hz to 22 kHz. These earbuds come with unique all-metal construction that ergonomically fit inside your ears for better comfort. They also come with powerful bass balanced with musical detail – the level of clarity and detail that you get with the E10 earbuds is pretty impressive. Furthermore, the bass output on the E10s is very tight and punchy, adding a layer of punch to music genres such as electronic dance music and rock. The E10s come with a full-range 10mm neodymium driver that has crystal clear sound performance and does not distort at high volume levels. It also has a sensitivity of 100dB and the earbuds do not distort at maximum volume levels, which is a nice added touch. Overall, the SoundMagic E10 is some best sounding earbuds that we have tested with a wide frequency range and we highly recommend them. The Shure SE112 are some of the best sounding earbuds with dynamic micro drivers and immersive sound performance. The SE112 earbuds are specially designed to provide great sound with long-lasting comfort and immersive audio, and uses the universal 3.5mm cable to connect to music sources. The earbuds come equipped with a single hi-definition driver that produces crystal clear highs, midranges and deep bass. The earbuds have a sensitivity of 105dB and a wide frequency range between 25 Hz to 17 kHz and an impedance of 16 ohms. We also liked the fact that these earbuds come with comfortable sound isolating sleeves which block up to 37 dB of ambient noise – the sound isolation technology prevents outside noises from interfering with your listening experience, whether onstage or on the go. Furthermore, the Shure SE112 is available with Bluetooth communication cable, lightning communication cables (for Apple devices) and USB-C communication cables where required. The entire package comes with the earbuds, carrying case and three sizes of soft flex sleeves to choose from to get an ideal fit in your ears. 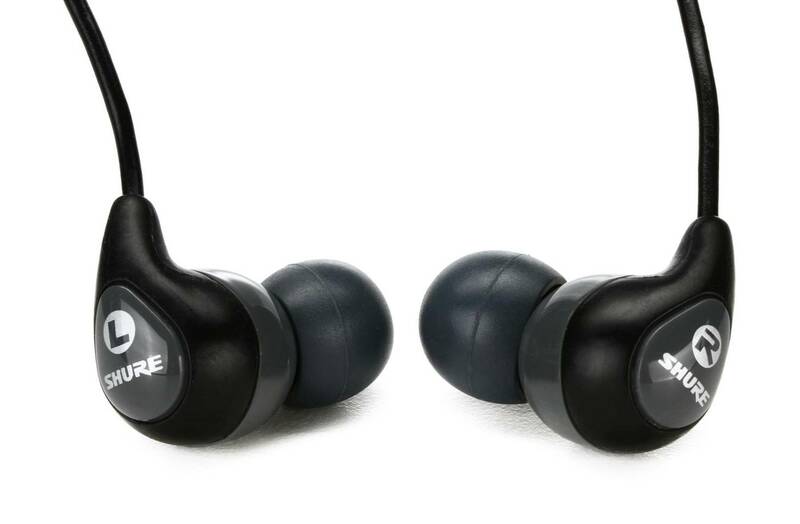 If you are looking for some of the best sounding earbuds that can deliver crystal clear hi-definition sound, the Shure SE112 is a great choice. The sound quality of the Shure SE112 is excellent and one-notch above the rest. They have a very nice neutral sound signature with crystal clear clarity throughout all soundtracks. The bass response is deep but does not sound muddy or flood into the midrange frequencies. The dynamic range of the SE112 earbuds is very good, and they can reproduce details in music performances with natural clarity and lifelikeness. Where the SE112 earbuds shine is their relatively neutral sound signature which provides an analytical sound performance – they can pick up details in the music which you might not have noticed before. These earbuds are particularly good for listening to orchestra and classical music where you can pick out the finer details in the music, such as the sound of guitar strings or the touch of a piano. For the best sound quality, we would also recommend getting comply foam tips to pair with these earbuds for better sound isolation and a more comfortable listening experience. These are immersive earbuds that reproduce high-fidelity sound performance with great attention to detail. The SE112 comes in different versions – 3.5mm wired, lightning connector or USB-C earphone connector. The wireless model pairs with almost any Bluetooth enabled device with Bluetooth 4.1 technology for high quality music streaming, and provides a battery life of up to 8 hours with 30 feet distance. The 3.5mm version has a standard earbud wiring case with three sizes of soft flex sleeves. The lightning version of the SE112 earbuds comes with a lightning communication cable for integrated DAC/headphone amp for 24-bit /48 kHz digital audio. The USB-C version of the SE112 earbuds enables direct connection with USB devices, and also comes with an integrated DAC for better sound amplification. The sound from the SE112 earbuds is powered by a single high-definition dynamic driver that has a relatively good frequency range from 25 Hz to 17 kHz and a sensitivity of 105 dB, with an impedance of 16 ohms. There is no need to connect the SE112 earbuds to a dedicated amplifier; they perform just as well while connected to smartphone or mobile devices. The Verdict? The Shure SE112 are some of the best sounding earbuds that delivers immersive audio performance with a fairly neutral sound signature. They are ideal for listening to music where you can carefully analyse the details in the music; these earbuds are great for picking out the minor details and instrumental notes in sound performances. Vocal performances sounded pristine and crystal clear on the SE112 without a hint of harshness on the treble ranges; you can practically crank up the volume on these earbuds to maximum without hearing any distortion. Furthermore, the SE112 earbuds are available in standard 3.5mm connectors, lightning or USB-C connectors for compatibility with Apple devices or USB devices. These connectors also come with integrated DACs so you do not need a dedicated amplifier for the SE112 earbuds. For better comfort, we would recommend pairing the Shure SE112 earbuds with comply foam earbuds to ensure a more comfortable listening experience. Overall, the Shure SE112 is some of the best sounding earbuds with an analytical and neutral sound signature and we highly recommend them for vivid listeners. The Brainwavz Delta are some of the best sounding earbuds available that can reproduce studio-reference quality sound with great precision and clarity. The earbuds are designed to reproduce instruments and vocals with crystal clear clarity, and produce full-range sound for all genres of music. The Delta earbuds have acoustic drivers that deliver balanced sound performance with decent bass output; it has a sound signature that is partially neutral and designed to bring out the details in music performances. The Brainwavz Delta earbuds have an all-metal housing made from high-grade aluminium for durable everyday use. We also liked the fact that the manufacturer provided comply foam ear-tips which feel very comfortable to wear and come in different sizes to choose from. The earbuds also come with a remote built-in microphone designed to work on android and iOS phones. The entire package comes with the earbuds, earphone hard case, 3 sets of silicone ear tips, comply foam tips, shirt clip and user manual for easy reference. If you are looking for some of the best sounding earbuds that can provide studio reference sound monitoring, the Brainwavz Delta are a great choice. The sound performance of the Brainwavz Delta earbuds is smooth and crystal clear, with very detailed vocal reproduction and instrumental notes. These earbuds use 8mm dynamic drivers which deliver a lot of volume without any distortion, and have an impedance of 16 ohms. This means that you can use these earbuds together with smartphones without a DAC amplifier. The Delta earbuds have a wide frequency range of 20 Hz to 20 kHz and a sensitivity of 100dB with a rated input power of 20mW. Music genres such as classical and vocal performances shine with the Brainwavz Delta earbuds – each music instrument can be heard with precision and you can also pick up minor details in the music which you might not have noticed before. The Delta earbuds have a more analytical sound signature, and while they do produce decent bass output, are built to emphasize the highs and treble ranges more. We also liked the fact that music and podcasts sound clear and nuanced, and phone call audio quality is clear in both directions. If you need a set of earbuds that can deliver high-fidelity sound quality that is true to the original recording, the Brainwavz Delta are a great choice. The Brainwavz Delta earbuds come with an all-metal body design with an in-line microphone and remote for easy controls. The in-line microphone and remote supports both iOS and android smartphones, and come with a phone call control, audio player and supports TRRS connections. We particularly liked the fact that the manufacturer provided a set of ear-tips of different sizes to choose from, so you can get the best fit and sound quality from these earbuds. The earbuds are ergonomically designed with aluminium exteriors that feel smooth and comfortable inside the ears; you can practically wear these earbuds for hours on end without feeling fatigued. We also liked the hard earbud case that comes with these earbuds for easy storage and portability. The comply foam tips that come with these earbuds are comfortable and lightweight, and feel easy on the ears. The Verdict? The Brainwavz Delta are some of the best sounding earbuds for professional reference studio monitoring with a relatively neutral sound signature. These earbuds have an analytical sound and can capture details in music and vocal performances that you might not have noticed before; they are great for instrumental and vocal performances. The Delta earbuds provide balanced sound and bass response, and have a wide frequency range of 20 Hz to 20 kHz with a sensitivity of100dB. We liked the fact that you can turn up the volume to maximum on the Delta earbuds without hearing any distortion; the highs and treble ranges remain crisp and clear without a hint of harshness. Furthermore, the Delta earbuds come with all-metal housing and made of lightweight aluminium material for durable and stable support. We also liked the fact that the manufacturer provided comply foam ear tips with different sizes to choose from to ensure that you get a comfortable fit inside your ears. The earbuds also have a remote with a built-in microphone designed to work with smartphone devices. On the whole, the Brainwavz Delta are some of the best sounding earbuds with a neutral and analytical sound signature with detailed sound performance, and we highly recommend them. The Sony MDRXB50AP are some of the best sounding earbuds designed to deliver full-range sound performance with integrated 12mm dome type drivers. These earbuds are capable of delivering power sound with specially tuned drivers equipped with high-energy neodymium magnets. The sound quality from these earbuds is very good, with crystal clear highs, good midranges and powerful bass response. It also comes with an integrated microphone and smartphone playback control for your convenience. The MDRXB50AP earbuds come with hybrid silicone earbuds for a secure and comfortable fit. It also features tangle-free, Y-type flat cord with slider, with a capacity of 100 mW. The Sony earbuds have a lightweight design and fit in comfortably into the ears without causing any discomfort; you can listen to these earbuds for extended periods of time without feeling fatigue. Furthermore, these earbuds have an extremely wide frequency range of 4 Hz to 24 k Hz, allowing you to pick up details and sounds in the music which you might not have heard before. The Sony earbuds have an impedance of 40 ohms, and can be connected directly to your smartphone or DAC amp for sound performance. 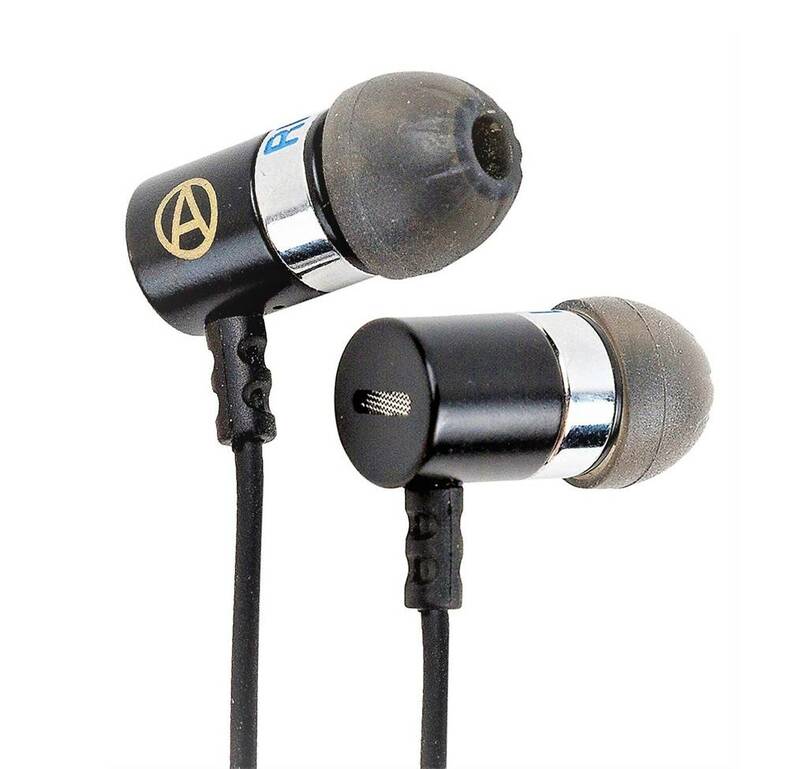 The sound quality of the MDRXB50AP is suitable for bass-heads and those who enjoy bass heavy music genres. They can deliver a solid punch in the lower end frequency ranges and the bass feels tight and punchy without muddying into the midrange frequencies. Music genres such as electronic dance music, pop and hip-hop sounded very enjoyable to listen to. The bass beats hits tight and adds a layer of punch to music performances; it does not feel bloated or muddy at all. We also liked the fact that you can crank up the volume on these earbuds without hearing a hint of distortion or harshness in the upper frequency ranges. The treble and timbre ranges are surprisingly well articulated, with crystal clear accuracy and tonal separation. We liked the fact that these Sony earbuds have a wide frequency range which allows you to hear practically the entire audio spectrum, although frequency ranges below 15 Hz are rarely audible to the human hear. The mids and highs come through clear without any distortion, making classical and instrumental music sound pretty good on these earbuds. The Sony MDRXB50AP has a sleek and modern design with neodymium magnets that deliver crisp and deep sound performance. The earbuds feature a bass duct design with a tightly sealed acoustic earpiece to allow for high level of sound isolation to enhance the bass response. These earbuds come with hybrid silicone ear-tips which provide long lasting comfort and are designed to reduce ambient noises; they come with small, medium and large earbud sizes to choose from to get the best fit inside your ears. Furthermore, these earbuds come with a durable 1.2m flat cord cable which reduces tangles; it also comes with a convenient carrying case for easy transport. The earbuds themselves are relatively lightweight which provides a nice and comfortable fit inside your ears; you can wear them outdoors and they will stay securely inside your ears without falling off. The Verdict? The Sony MDRXB50AP are some of the best sounding earbuds we have tested that provide an incredibly wide frequency range. These earbuds come equipped with 12mm dome type drivers that delivers crystal clear highs, detailed midranges and deep bass performance. It also has an integrated microphone and smartphone playback control for hands free calls. The sound quality on these earbuds is bass-heavy and suitable for those who enjoy listening to bass heavy music genres such as electronic dance music, rock and hip-hop. They also come with neodymium magnet drivers that deliver crisp highs and midranges with very little to no distortion at high volume levels. These earbuds have an impedance of 40 ohms and an ultra-wide frequency range from 4 Hz to 24 kHz. We also liked the fact that they come with hybrid silicone ear-tips of different sizes to choose from to get the best fit inside your ears. If you are looking for some of the best sounding earbuds that deliver superb well-balanced sound with deep bass, the Sony MDRXB50AP earbuds are a great choice. The Master & Dynamic ME03B-A are some of the best sounding earbuds designed to produce high-end sound performance. The ME03B-A are engineered to produce Master & Dynamic signature sound with custom tuned 8mm titanium drivers with a rich and warm sound profile for an audiophile listening experience. These earbuds are capable of producing crisp highs, deep lows and very smooth midranges that are suitable for a wide range of music genres. These earbuds are made of high quality materials, and feature machined anodized aluminium, tangle-free resistant cords with oxygen free copper wires. These earbuds are designed with very thoughtful details have a distinctly unique appearance. The ME03B earbuds come with a separate remote control and microphone for increased vocal clarity and reduce noise. The entire package includes a leather storage box, canvas carrying pouch and clip; we also liked the fact that it comes with four sizes of silicone ear tips to choose from to ensure a comfortable listening experience. If you are looking for some of the best sounding earbuds that can provide signature sound performance with crisp highs and smooth details, the Master & Dynamic ME03B-A earbuds are a great choice. The sound performance of the MEO3B-A is natural, lifelike and detailed. These earbuds come with custom tuned 8mm titanium drivers that deliver a rich, warm sound profile with crystal clear highs and midranges. These earbuds have nice treble ranges and deep lows which are suitable for a wide variety of music genres. Bass-heavy music genres such as electronic dance music and pop sounded very natural and punch, with the low-end sounding refined and detailed. The bass output on these earbuds is decent but not overwhelming; it does not sound muddy or flood into the midrange frequencies. We would say that these earbuds have a refined V-shaped sound signature that puts emphasis on the highs and vocal performances without any tininess. You can also crank up the volume on these earbuds without hearing any distortion which is good. The level of soundstage that these earbuds deliver is pretty good, and you can hear musical separation between the left and right earbud channels. The sound isolation provided by the MEO03B-A earbuds is pretty good, and blocks outside ambient noises that may interfere with your listening experience. The Master & Dynamic earbuds feature a sleek and modern looking design with high-quality durable construction. These earbuds feature custom 8mm drivers which provide signature refined sound performance with detailed sound effects. The earbuds are constructed from anodized aluminium and have high quality tangle resistance with heavy duty cords and oxygen free copper. These earbuds are compact and relatively lightweight, and come with silicone ear-tips of different sizes to choose from to ensure that you get the best fit inside your ears. We also liked the fact that the MEO3B-A earbuds come with separate remote and microphone controls for increased vocal clarity and reduced noise distortion. The earbuds themselves are relatively lightweight and fit ergonomically inside your ears without any issues; they are firm and secure and you can take these earbuds outdoors without falling off. They are also suitable for gym and workouts and can take hands free calls on the go. The Verdict? The Master & Dynamic earbuds are some of the best sounding earbuds with custom 8mm titanium drivers that are tuned to deliver rich and warm sound performance. These earbuds have crystal clear highs, deep lows and a versatile frequency range that compliments a wide variety of music genres. These earbuds are particularly good for music genres such as instrumental, classical and piano performances where they can reproduce crystal clear details and lifelike sounds. The earbuds have a relatively wide frequency range, so they are able to pick up details in the music which may not be audible on traditional earbuds. We liked the fact that these earbuds are made from machined anodized aluminium with high quality tangle resistant heavy duty cords; these earbuds come with a leather storage box, canvas carrying pouch and a clip, together with four silicone ear-tip sizes to choose from for a comfortable fit. Overall, the Master & Dynamic earbuds are some of the best sounding earbuds in the high-end range that deliver clear sound quality, and we highly recommend them. The MobiFren earbuds are some of the best sounding earbuds that are built for quality stereo sound performance and wireless Bluetooth streaming. These earbuds come with a dual battery design which gives these earbuds up to 7.5 hours of continuous music playtime on a single charge with 1.5 hours of charge time. 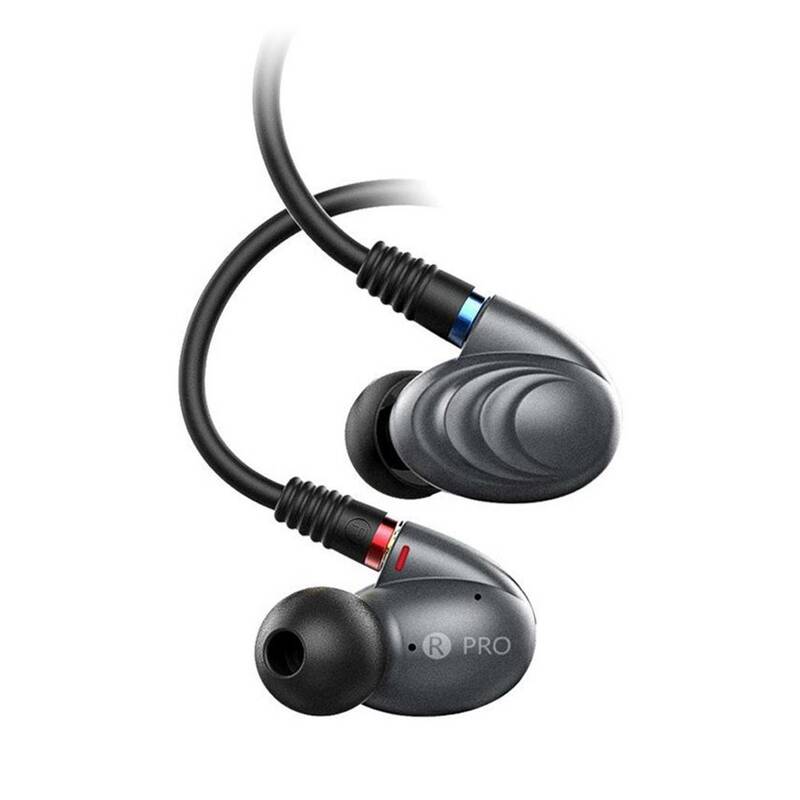 The MobiFrend earbuds are designed to produce high quality sound with Qualcomm apt-X codec, AAC codec and MobiFrend MSTS tuning technology for crisp highs and detailed midranges. The earbud are built for stability with magnetic ear body design which allows the earbuds to snap together when not in use – this makes it easy to hang the earbuds over your neck. We also liked the fact that the MobiFrend earbuds come with multi-music mode enabled to greatly enhanced your listening experience. The MobiFrend earbuds also come with Bluetooth 4.2 which works 2.5x faster and has more reliable data transmission for high quality sound. These earbuds also have a durable and tangle free flexible flat cable that folds and bends easily. If you are looking for one of the best sounding earbuds that can deliver wireless streaming and superb sound quality, the MobiFrend earbuds are a great choice. The sound performance of the MobiFrend earbuds is crystal clear and vibrant; they can produce very crisp details with good midranges and bass output. These earbuds provide a seamless experience for listening to music via Bluetooth directly from your smartphone device. The highs and midranges are crisp and clear, and the bass response on these earbuds is pretty good. Music genres such as electronic dance music and rock sounded punchy and smooth, with good attention to detail and music separation. Vocal performances are reproduced with natural sound and feel lifelike – the timbre and treble ranges are just right and don’t have any harshness at high volume levels. These earbuds have a more V-shaped sound signature and emphasize the bass and highs pretty well – the wireless Bluetooth streaming on these earbuds is very good, and we did not experience any dips in sound quality while listening to music on these earbuds. The Mobifrend earbuds are built with quality materials and features and sleek and lightweight ergonomic design. It comes with qualcomm aptX technology with supports lossless 16-bit music quality and 353kpbs data transmission, and preserves sound data with CD-like listening experience. The Mobifrend earbuds feature MSTS tuning technology with 7 different music modes to greatly enhance your listening experience – this tuning technology adapts the sound signature to your personal preferences to allow you to listen to music better. We particularly liked the wireless Bluetooth feature of the Mobifrend earbuds – you can stream music directly from your Bluetooth smartphone devices to these earbuds without any lag or dips in sound quality. The battery life that comes with these earbuds lasts for up to 7.5 hours with only 1.5 hours charging time. The magnetic clip function on these earbuds is also useful for easy storage. The Verdict? The Mobifrend earbuds are some of the best sounding earbuds we have tested that deliver Bluetooth wireless streaming and up to 7.5 hours of continuous music playtime. They come with a dual battery design that takes only 1.5 hours to reach a full charge, and allow for wireless streaming and Bluetooth compatibility. The sound quality of these earbuds is crystal clear, with crisp highs, detailed midranges and good bass output that feels solid and punchy. These earbuds are also equipped with Qualcomm apt-X codec, AAC codec, and MSTS tuning technology to provide premium sound quality. The magnetic ear body of these earbuds allow them to snap together for easy storage. We also liked the multi-music mode feature of these earbuds which allow you to select from seven different modes to enhance your listening experience. Overall, the Mobifrend earbuds are some of the best sounding earbuds available with wireless Bluetooth streaming and we highly recommend them. The Westone W80 are some of the best sounding earbuds you can find with a fun sound signature for audiophiles. These earbuds are equipped with eight balanced armature drivers with three-way crossovers for superb sound reproduction and reference level audio performance. 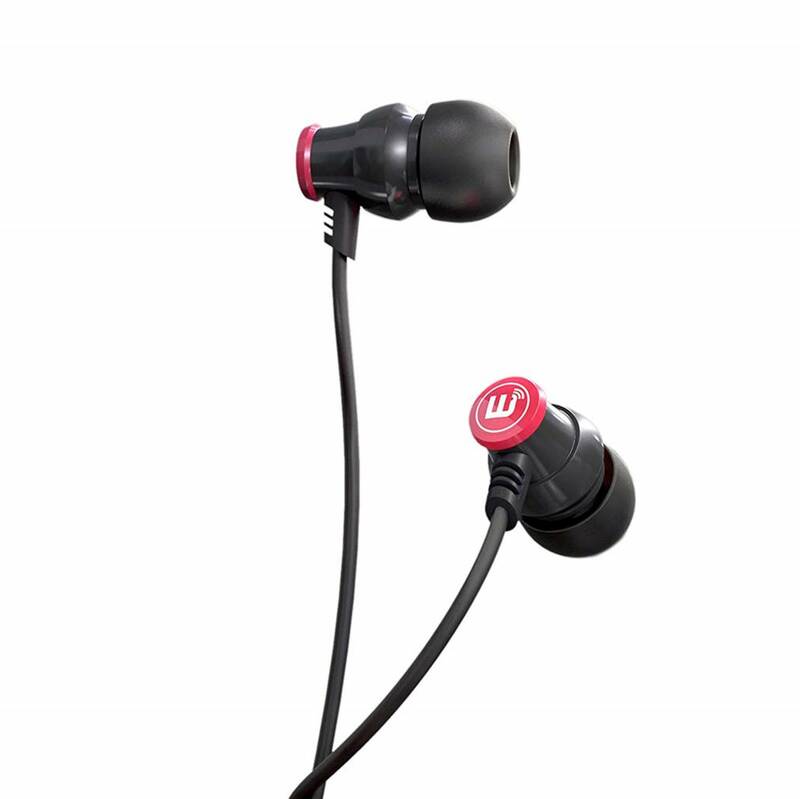 The W80 earbuds have extended range and harmonic dynamics that unique to this set of multi-driver earbuds. 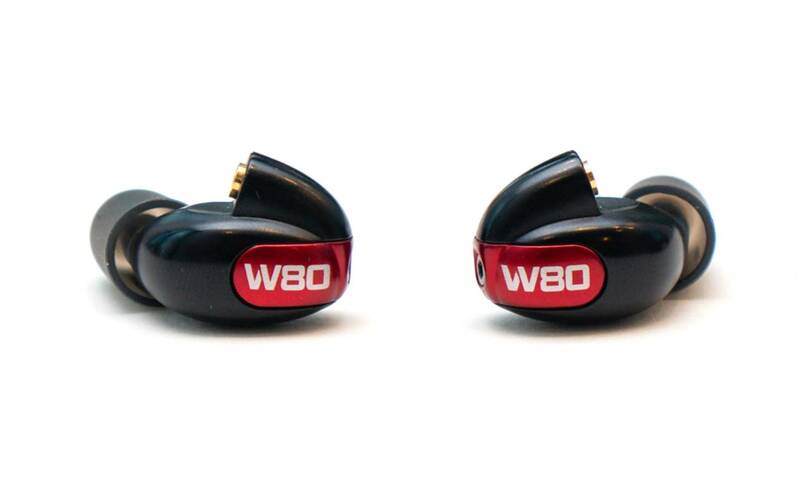 The W80s feature a compact and low profile design with an ergonomic shape for comfortable fit inside your ears. The W80 can be worn for long hours on end without feeling fatigue; they also come with silicone and comfort foam eartips which enhance the performance of in-earbuds by providing a good level of sound isolation and superb fit. Furthermore, the W80 earbuds come an audiophile cable and MFI button cable which consists of 4 strands of low-resistance OCC copper wire braided together to create a lightweight and high-fidelity earbuds. The Westone W80 earbuds feature armature drivers that have a wide frequency response from 5 Hz to 22 kHz with an impedance of 25 ohms, which means that it can be powered directly from your smartphone device. Overall, the Westone W80 are some of the best sounding earbuds with a versatile and fun sound signature and we highly recommend them. The sound performance of the Westone W80 earbuds is crisp and crystal clear, with a vibrant sound signature that enhanced the lows and midrange frequencies. The W80 earbuds come with two low-frequency drivers, two mid-range drivers, and four specially-designed high frequency drivers which create a soundstage that is immersive and rich with detailed clarity. These earbuds are capable of adding so much detail and clarity in every note that they can pick up the subtle nuances in music that you might not have noticed before. 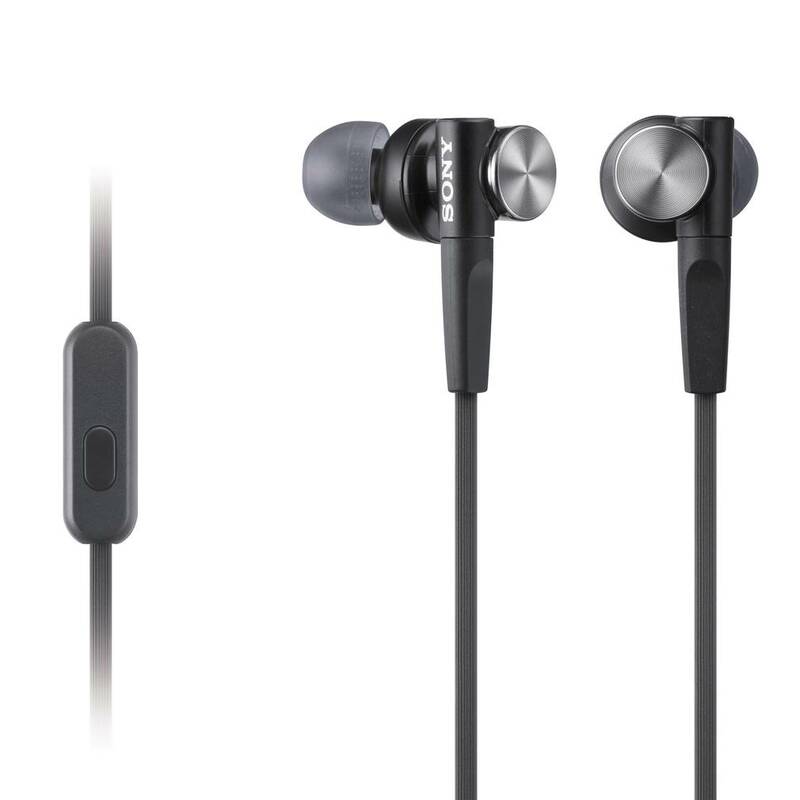 Bass-heavy music genres such as rock, pop and hip-hop sound particularly good with the W80 earbuds – they have rich and crystal clear tonal quality with very deep bass response. The bass response on these earbuds is tight, punchy and well-defined, but does not flood into the midrange or sound overwhelming. Vocal performances also sound crystal clear and rich, and the highs and treble ranges are well-articulated with no hint of harshness. They can handle multiple music genres without any issues and have a slightly curved V-shape sound signature. The Westone W80 has a sleek and modern looking design that is ergonomically shaped to fit inside the ears. We liked the fact that the W80 earbuds has a low profile and ergonomic design; they can be worn for hours on end without feeling fatigued. The W80 earbuds also come with silicone and comfort-foam ear-tips which enhance the performance of the earbuds by providing a good degree of sound isolation to block outside ambient noises. The W80 earbuds uses 4 strands of low-resistance high-purity silver-plated copper wire and 4 strands of low-resistance OCC copper wire braided together to create a lightweight and hi-fidelity earphone cable. The 3 button MFi control system with microphone provides full function and control for all iOS and Android devices. It also features MMCX audio connectors and a 3.5mm stereo plug. The W80 earbuds feature eight balanced armature drivers with 111 dB @ 1mW sensitivity, with a frequency range of 5 Hz to 22 kHz and an impedance of 25 ohms @ 1kHz. The Verdict? The Westone W80 are some of the best sounding earbuds for audiophiles looking for a fun and vivid sound signature. These earbuds come equipped with eight armature drivers with a wide frequency response for you to hear every single detail in the music. The highs and midranges are crisp and crystal clear, and the bass output on the W80 earbuds feels tight and punchy. Furthermore, the W80 earbuds are ergonomically shaped and well-designed; you can practically listen to these earbuds for hours on end without feeling any fatigue. The earbuds deliver reference level audio performance, with extended range and harmonic frequencies that add to the overall listening experience. The entire package comes with the Westone W80 earbuds, 3 button MFi cable with microphone, 5 silicone ear-tips, 5 pairs of true-fit comfort foam ear-tips, carrying case and decorative faceplates which you can change according to your preferences. If you are looking for some of the best sounding earbuds on the market designed for audiophiles, the Westone W80 is definitely the one you should get. The Echobox Finder is one of the best sounding earbuds designed to deliver a customized sound listening experience. These earbuds come with an acoustic filter tuning system that allows users to customize the sound of their earphones to match their own unique preferences. The Finder earbuds deliver high-resolution audio performance; it comes with a balanced dynamic driver which has a powerful and accurate bass response, layered with mids and detailed highs. The Finder earbuds also provide a very good degree of noise isolation; they come with thermal reactive memory foams which works with your body’s natural hear to seal the ear canal and provide better sound isolation. The earbuds also come with solid titanium housings which are precision crafted from titanium for durability and lightweight design. Finally, we also liked the fact that the manufacturer provided extra sets of earbuds of different sizes to choose from for a better fit. If you are looking for some of the best sounding earbuds with customizable sound, the Echobox Finder is definitely one you should get out. The sound quality of the Echobox Finder earbuds is very good. They come with multiple filters for reference, bass and treble ranges, although we found that the default mode sounds the best and most well-balanced. The sound quality on the Finder earbuds is crystal clear – the bass hits hard and the music sounds lifelike. The adjustable filters also allow you to fine tune to the sound according ot your preferences. When we switched to the bass filter, the Finder earbuds sounded very tight and punchy, with low-frequency details and very good bass output. Music genres such as electronic dance music, rock and hip-hop sounded very enjoyable to listen to with vibrant details and crystal clear midranges. Vocal performances also sound very natural and lifelike; these earbuds provide a good degree of sound separation with crystal clear details. Instrumental and classical music sounded surprisingly good with detailed separation and a good degree of soundstage; you feel as though you are sitting in a real life concert while listening to these earbuds. The ability to customize the sound quality is one of the best strengths of the Echobox Finder earbuds. The Echobox earbuds have a snug and secure design that feels very comfortable to wear. The ear tips from the Echobox earbuds fit perfectly and do not move around; we also liked the fact that the manufacturer provided multiple sets of ear tips for you to choose from to get an ideal fit inside your ears. As mentioned above, the Echobox earbuds come with acoustic filter tuning system which allows you to personalize the sound output of these earbuds by changing the filters to match your personal preferences. Each earbud is constructed from solid titanium housings with durability and ease of use in mind. They also come with comply thermal reactive ear-tips which provide noise isolation and a universal custom fit. These earbuds are designed to strike a balance between high resolution music quality and structural integrity. It also comes with a microphone control for you to take hands free calls on the go. We also liked the portable carrying case that comes together with the Echobox earbuds and a full suite of silicone ear tips of different sizes to choose from. The Verdict? The Echobox Finder are some of the best sounding earbuds that are built for customized sound performance and music lovers. These earbuds feature an acoustic filter tuning system that allows users to customize the sound of their earbuds and match their own unique acoustic preferences. The Finder earbuds are designed to produce high resolution audio and has a powerful and accurate bass response, with layered midranges and crisp highs. The earbuds are designed to provide really good sound isolation with thermal reactive memory foam and solid titanium housings. The earbuds are relatively lightweight and easy to hear; you can wear these earbuds for hours on end without feeling fatigue. We particularly liked the fact that you can fully customize your sound listening experience with the Finder earbuds by adjusting the filters – you can have more bass, treble ranges or reference sound audio quality. The Finder earbuds also come with a set of silicone ear-tips for you to choose from to get the best fit in your ears, depending on your preferences. Overall, the Echobox Finder are some of the best sounding earbuds we have tested with a fully custom sound experience and we highly recommend them.